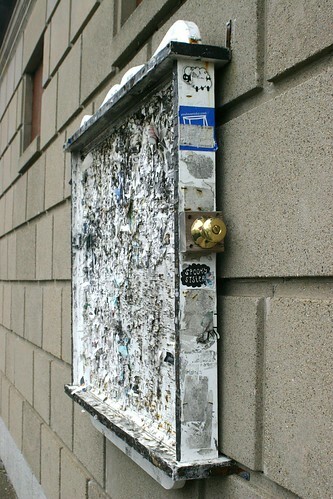 Bulletin board with an attached . 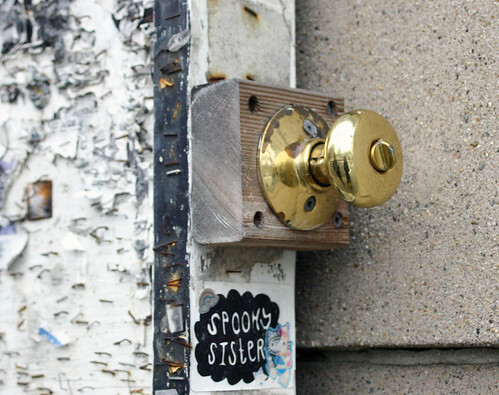 . . doorknob?